We are offering Pillow Cover is a smooth surface and designer appearance with its exclusive finish making them most favored selections of the customers. We have expertise in manufacturing, exporting, wholesaling and supplying an exclusive range of Printed Running Fabric. Our well-experienced experts design this running fabric at our finest fabricating unit. We take the complete requirements before designing this running fabric. This running fabric is examined on quality parameters for making certain its quality & provided at pocket-friendly rates with special discount. We hold expertise in manufacturing, exporting and supplying a wider array of Sanganeri Prints Fabric. This fabric is made by our experts keeping in mind the existing trend of the industry; the complete gamut of fabric is accessible in diverse colors range. Our fabric is inspected on various quality parameters for supplying flawless range. Our proficiency is in manufacturing, exporting, wholesaling and supplying an exclusive range of Running Fabric. The given running fabrics are imaginatively designed under the direction of professional. The offered running fabrics are admired for their vibrant colors and many more features. For satisfying our customers, these running fabrics can be taken in a myriad of colors and designs by our customers. 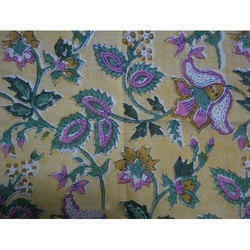 We are manufacturers in hand block printed fabric And quality tested array of Sanganeri Hand Block Print Fabrics. The Cotton Fabric we offer is widely acclaimed amongst the clients for its availability in designs, colors and patterns. 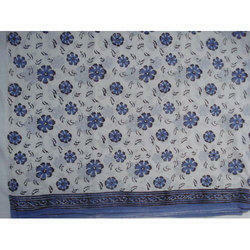 Offered Cotton Fabric are known for its colorfastness nature and can be washed easily. 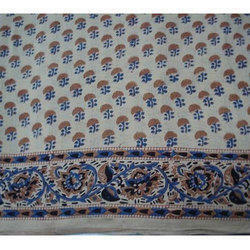 We are manufacturers in hand block printed fabric And quality tested array of Sanganeri Block Print Material. The Cotton Fabric we offer is widely acclaimed amongst the clients for its availability in designs, colors and patterns. 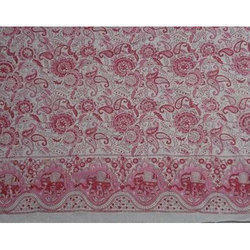 Offered Cotton Fabric are known for its colorfastness nature and can be washed easily. 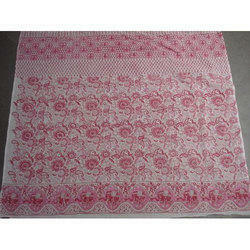 We are the leading manufacturer and supplier of Block Printed Running Fabric, We will Provide you in Bulk Quantity only. 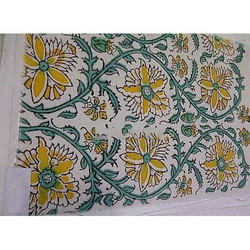 We are leading manufacturer of Sanganeri Block Printed Running Fabrics. 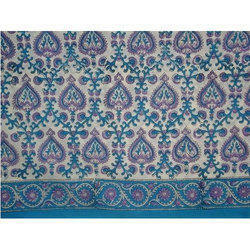 We are manufacturers in hand block printed fabric And quality tested array of Sanganeri Fabric. The Cotton Fabric we offer is widely acclaimed amongst the clients for its availability in designs, colors and patterns. 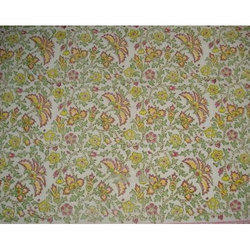 Offered Cotton Fabric are known for its colorfastness nature and can be washed easily. 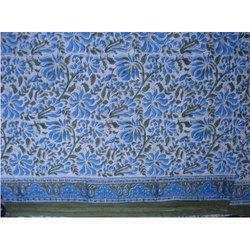 We are manufacturers in hand block printed fabric And quality tested array of Hand Block Prints Fabrics. The Cotton Fabric we offer is widely acclaimed amongst the clients for its availability in designs, colors and patterns. 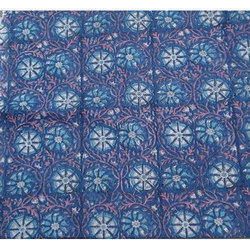 Offered Cotton Fabric are known for its colorfastness nature and can be washed easily. 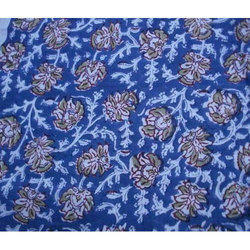 We are manufacturers in hand block printed fabric And quality tested array of Block Printed Suits. The Cotton Fabric we offer is widely acclaimed amongst the clients for its availability in designs, colors and patterns. 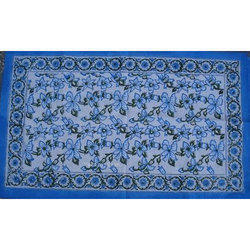 Offered Cotton Fabric are known for its colorfastness nature and can be washed easily. 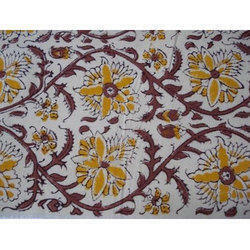 We are manufacturers in hand block printed fabric and quality tested array of Sanganeri Block Printed Material. The Cotton Fabric we offer is widely acclaimed amongst the clients for its availability in designs, colors and patterns. 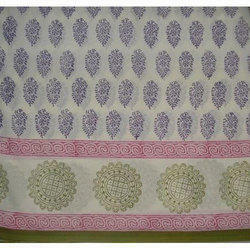 Offered Cotton Fabric are known for its colorfastness nature and can be washed easily. 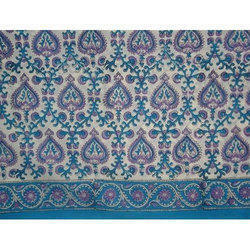 We are leading manufacturer of Sanganeri Block Printed Running Fabric. We are engaged in offering a premium quality of Cotton Running Fabric. 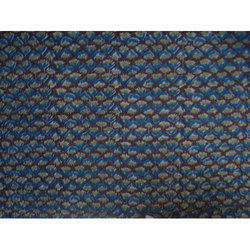 This running fabric is made with best quality fabric according to the fashion industry norms. Our running fabric is accessible in diverse sizes, designs and patterns. Along with that, this cotton running fabric has soft fabric & provided in different packaging options to choose only at affordable rates. 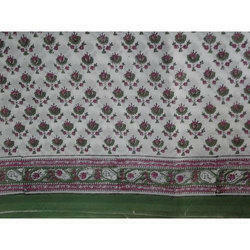 Owing to our in-depth domain expertise, we are offering a premium quality of Block Printed Running Fabric. 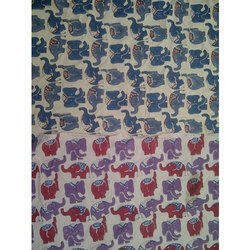 This printed running fabric is designed with best quality fabric according to the fashion industry norms. Our printed running fabric is accessible in diverse sizes, designs and patterns. Along with that, this printed running fabric has soft fabric & provided in different packaging options to choose only at affordable rates. We provide a superior quality range of Printed Running Fabric. Offered running fabrics are stitched perfectly by our tailors by using quotients of modernism. For serving the spotted needs of our customers, the offered running fabrics are obtainable in latest colors, designs and other related stipulations. Our dear customers can take the complete assortment of running fabrics at nominal rates. 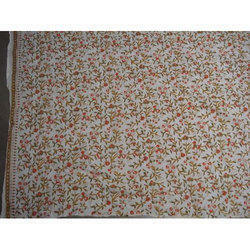 We are leading manufacturer of Sanganeri Block Fabric.